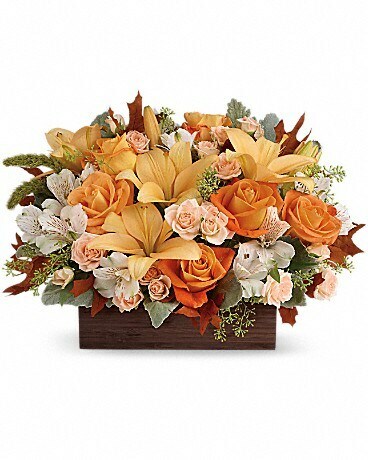 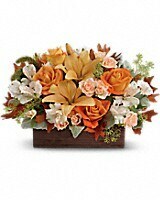 Give any fall gathering a special chic feeling with this wonderful autumnal centerpiece, featuring roses and lilies. 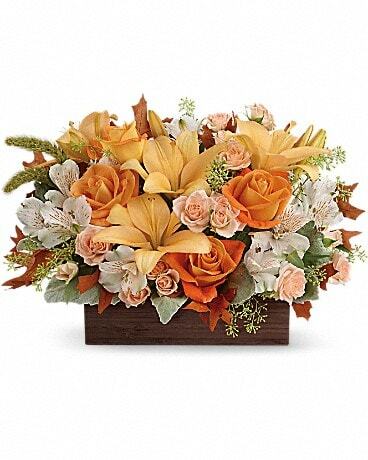 Hand-delivered in a dark-toned bamboo rectangle. 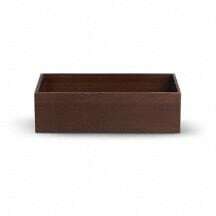 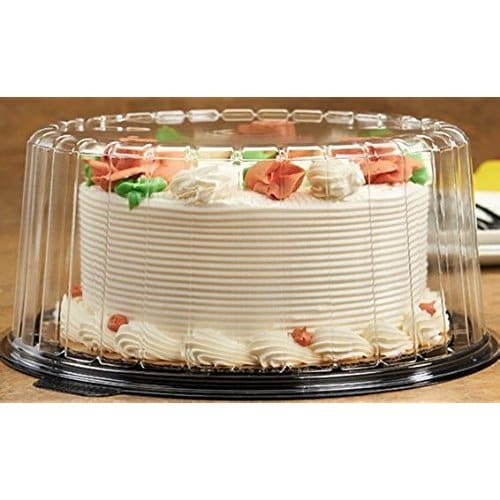 Exact container will not be available.